How​ ​would​ ​you​ ​feel​ ​knowing​ ​that​ ​the​ ​type​ ​of​ ​genetic modification​ ​used​ ​to​ ​make​ ​these​ ​new​ ​potatoes,​ ​RNA interference (RNAi),​ ​changed​ ​the​ ​way​ ​baby​ ​bees’​ ​genes worked​ ​after​ ​just​ ​one​ ​meal?​ ​(Nunes​ 2013).​ ​It​ ​altered​ ​their​ ​hormones,​ ​immune​ ​system​ ​and response​ ​to​ ​stress.​ ​This​ ​surprised​ ​the​ ​scientists​ ​as​ ​they​ ​didn’t​ ​expect​ ​any​ ​effect,​ ​however, one​ ​in​ ​ten​ ​of​ ​the​ ​bees’​ ​genes​ ​were​ ​affected​ ​and​ ​acted​ ​differently. Simplot supplies fries and hash browns to McDonalds and as they would be sold ready to eat, they would not need to be labelled as GM whereas currently they would need labelling if sold in the supermarket. GM potatoes are the first GM vegetable or fruit allowed to be sold in Australia. When​ ​companies​ ​want​ ​to​ ​release​ ​a​ ​new​ ​GM​ ​food​ ​they​ ​apply​ ​to​ ​Food​ ​Standards​ ​Australia New​ ​Zealand​ ​(FSANZ). ​This​ ​is​ ​a​ ​government​ ​department​ ​based​ ​in​ ​Canberra. ​ ​They​ ​have​ ​no laboratories​ ​and​ ​do​ ​no​ ​research​ ​work.​ ​Instead, ​ ​they​ ​look​ ​at​ ​the​ ​studies​ ​done​ ​by​ ​the applicant​ ​GM​ ​company, ​​in​ ​this​ ​case​ ​Simplot. ​ ​These​ ​studies​ ​are​ ​usually​ ​done​ ​in-house​ ​by​ ​the company​ ​scientists​ ​and​ ​are​ ​not​ ​published​ ​in​ ​journals​ ​or​ ​peer-reviewed. ​ ​This​ ​means​ ​they avoid​ ​the​ ​scrutiny​ ​considered​ ​necessary​ ​for​ ​studies​ ​to​ ​be​ ​seen​ ​as​ ​part​ ​of​ ​scientific knowledge. ​They​ ​are​ ​a​ ​grey​ ​zone​ ​of​ ​science​, ​where​ ​the​ ​company​ ​employs​ ​scientists, ​ to create​ ​science, ​for​ ​the​ ​company’s​ ​benefit. FSANZ​ ​has​ ​recommended​ ​the approval​ ​of​ ​every​ ​GM​ ​food​ ​application​ ​they​ ​have​ ​received. ​​The Forum​ ​of​ ​Health​ ​and​ ​Agriculture​ ​Ministers​ ​from​ ​Federal​ ​and​ ​State​ ​Governments​ ​use​ ​FSANZ’s advice​ ​to​ ​approve​ ​GM​ ​food. ​ ​FSANZ​ ​decides​ ​which​ ​evidence​ ​will​ ​be​ ​heard​ ​and​ ​given​ ​weight. 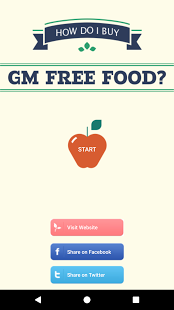 This​ ​system​ ​is​ ​circular, ​ FSANZ​ ​says​ ​it​ ​doesn’t​ ​approve​ ​GM​ ​food, ​ the​ ​Forum​ ​does. ​​The​ ​Forum says​ ​it​ ​approves​ ​GM​ ​food​ ​based​ ​on​ ​the​ ​advice​ ​of​ ​FSANZ. ​ There​ ​is​ ​no​ ​Science​ ​Ombudsman who​ ​can​ ​investigate​ ​complaints​ ​of​ ​FSANZ​ ​dismissing​ ​or​ ​ignoring​ ​scientific​ ​evidence​ ​of​ ​harm or​ ​potential​ ​harm. FSANZ​ ​dismissed​ ​the​ ​peer-reviewed, ​ published​ ​RNAi​ ​bee​ ​study​ ​(Nunes​ ​2013) ​ claiming​ ​it​ ​had no​ ​relevance​ ​to​ ​the​ ​GM​ ​potato​ ​despite​ ​using​ ​the​ ​same​ ​technique. ​ ​They​ ​gave​ ​no​ ​reference​ ​to any​ ​science​ ​to​ ​back​ ​up​ ​their​ ​opinion. ​ ​Instead​ ​they​ ​implied​ ​that​ ​if​ ​there​ ​were​ ​any​ ​problems the​ ​GM​ ​potatoes​ ​would​ ​have​ ​looked​ ​different. ​It​ ​is​ ​hard​ ​to​ ​respond​ ​to​ ​this. ​The​ ​point​ ​isn’t the​ ​appearance​ ​of​ ​a​ ​GM​ ​potato​ ​but​ ​the​ ​effect​ ​it​ ​has​ ​when​ ​eaten. FSANZ​ ​have​ ​ignored​ ​scientists​ ​warnings​ ​of​ ​potential​ ​harm. ​ The​ ​​Centre​ ​for​ ​Integrated Research​ ​in​ ​Biosafety​ ​(INBI)​ ​ “predicted​ ​that​ ​dsRNA​ ​​ ​ (i.e.​ ​RNAi) ​ ​could​ ​be​ ​​transmitted to​ ​humans​ ​through​ ​food​, ​ ​and​ ​that​ ​dsRNA​ ​would​ ​be​ ​sufficiently​ ​resistant​ ​to​ ​cooking and​ ​normal​ ​stomach​ ​pHs​ ​to​ ​potentially​ ​be​ ​taken​ ​up​ ​by​ ​cells​ ​or​ ​circulated​ ​through blood. ​​If​ ​this​ ​were​ ​the​ ​case, ​there​ ​would​ ​be​ ​the​ ​potential​ ​to​ ​cause​ ​unintended​ ​and possibly​ ​adverse​ ​gene​ ​silencing​ ​in​ ​humans​ ​ (​Heinemann​ ​et​ ​al., ​ ​2011​).”​ ​This​ ​means ​our​ ​genes​ ​and​ ​our​ ​health​ ​could ​be​ ​affected​ ​by​ ​eating​ ​this GM​ ​potato. FSANZ​ ​has​ ​already​ ​decided​ ​that​ ​animal​ ​feeding​ ​trials​ ​of​ ​GM​ ​foods​ ​are​ ​not​ ​necessary, ​ ​except, perhaps, ​ ​when​ ​there​ ​is​ ​a​ ​desired​ ​nutritional​ ​change. ​ ​A​ ​GM​ ​potato​ ​claimed​ ​to​ ​reduce acrylamide, ​ ​and​ ​therefore, ​ ​perhaps, ​ ​cancer, ​ ​could​ ​be​ ​seen​ ​as​ ​necessitating​ ​a​ ​feeding​ ​trial. However​ ​FSANZ​ ​say​ ​“​ ​There​ ​are​ ​also​ ​concerns​ ​about​ ​the​ ​unethical​ ​use​ ​of​ ​animals​ ​for​ ​feeding studies​ ​…”​ ​Is​ ​it​ ​unethical​ ​that​ ​children,​ ​pregnant​ ​women,​ ​elderly,​ ​or​ ​sick​ ​humans​ ​will be ​the first​ ​animals​ ​to​ ​eat​ ​a​ ​GM​ ​potato?​ ​FSANZ​ ​expects​ ​GM​ ​companies​ ​to​ ​“monitor​ ​for existing​ ​and​ ​emerging​ ​risks”​ ​of​ ​their​ ​products.​ ​This​ ​can​ ​only​ ​happen​ ​if​ ​people​ ​know​ ​when they​ ​are​ ​eating​ ​GM​ ​food. You are probably eating GM food every day. GM​ ​ingredients​ ​are​ ​in​ ​most​ ​processed​ ​food​ ​in​ ​Australia​ ​and​ ​are​ ​everywhere​ ​in​ ​the​ ​US​ ​food system. ​ ​In​ ​the​ ​EU​ ​GM​ ​crops​ ​are​ ​mainly​ ​confined​ ​to​ ​imported​ ​GM​ ​soy, ​ ​corn​ ​and​ ​canola​ ​fed​ ​to animals. ​ ​This​ ​stark​ ​difference​ ​is​ ​because, ​ ​unlike​ ​Australia​ ​and​ ​the​ ​US, ​ ​the​ ​EU​ ​has​ ​clear​ ​GM labelling.​ ​Australia’s​ ​labelling​ ​is​ ​full​ ​of​ ​loopholes​ ​that​ ​means​ ​that​ ​even​ ​a​ ​bottle​ ​of​ ​canola​ ​oil made from​ ​100% ​GM​ ​canola​ ​ ​escapes​ ​labelling. Currently, ​ ​GM​ ​crops​ ​including​ ​soy, ​ ​corn, ​ ​canola, ​ ​sugar beet​ ​and​ ​cotton, ​ ​are​ ​processed​ ​into ingredients​ ​that​ ​avoid​ ​labelling​ ​in​ ​Australia. ​ ​The​ ​GM​ ​potato​ ​is​ ​different. ​ ​It​ ​is​ ​a​ ​whole​ ​food that​ ​will​ ​contain​ ​GM​ ​DNA​ ​and​ ​protein. ​ ​It​ ​will​ ​be​ ​grown​ ​in​ ​the​ ​US, ​ ​not​ ​Australia. ​ ​Just​ ​over​ ​a quarter​ ​of​​ ​processed​ potatoes ​in​ ​Australia​ ​are​ ​imported, ​ ​mostly​ ​from​ ​the​ ​US. ​ ​If​ ​they are​ ​pre-cut​ ​chips​ ​or​ ​other​ ​products​ ​and​ ​sold​ ​in​ ​supermarkets​ ​they​ ​would​ ​need​ ​to be​ ​labelled. ​ ​Yet​ ​four​ ​out​ ​of​ ​five​ ​processed​ ​potatoes​ ​go​ ​to​ ​cafes, ​ ​takeaways​ ​and​restaurants. These​ ​GM​ ​potatoes​ ​will​ ​escape​ ​any​ ​labelling. If the GM potato is processed into ingredients like potato starch, it will avoid labelling like other highly processed ingredients. Will Simplot​, the creator of the GM potato, ​​ ​insist​ ​that​ ​US​ ​farmers​ ​grow​ ​their​ ​patented​ ​GM​ ​potatoes,​ ​so​ ​increasing​ ​their​ ​profit? What​ ​will​ ​happen​ ​to​ ​Australian​ ​potato​ ​farmers​ ​who​ ​are​ ​already​ ​being​ ​undercut​ ​by​ ​cheap imports?​ ​Do​ ​we​ ​really​ ​want​ ​GM​ ​potatoes​ ​when​ ​conventional, ​ non-GM, ​ breeding​ ​has​ ​already developed​ ​potatoes​ ​resistant​ ​to​ ​blight, ​ ​browning​ ​and​ ​that​ ​have​ ​low​ ​acrylamide​ ​when cooked? This GM potato can only flourish in the dark, share this article with family and friends. Simplot supplies chips and hash browns to many companies including MacDonald’s. Let them know you don’t want to eat it and tell supermarkets that you don’t want to buy it. Cooking​ ​at​ ​home, ​ growing​ ​food, ​ buying​ ​from​ ​local​ ​farmers​ ​and​ ​food​ ​outlets you​ ​trust​ ​is​ ​a​ ​great​ ​way​ ​to​ ​start protecting yourselves. ​ This​ ​can​ ​be​ ​fun​ ​and​ ​friendly​ ​as​ ​well​ ​as​ ​delicious. ​We need a food system we can trust, where we know what we are eating and how it was grown. Take action and your action will help us all. *The US National Cancer Institute says that more studies are needed to show the effect of acrylamide in the diet on human cancers. They suggest "Decreasing cooking time, blanching potatoes before frying, and post drying (drying in a hot air oven after frying) has been shown to decrease the acrylamide content of some foods."